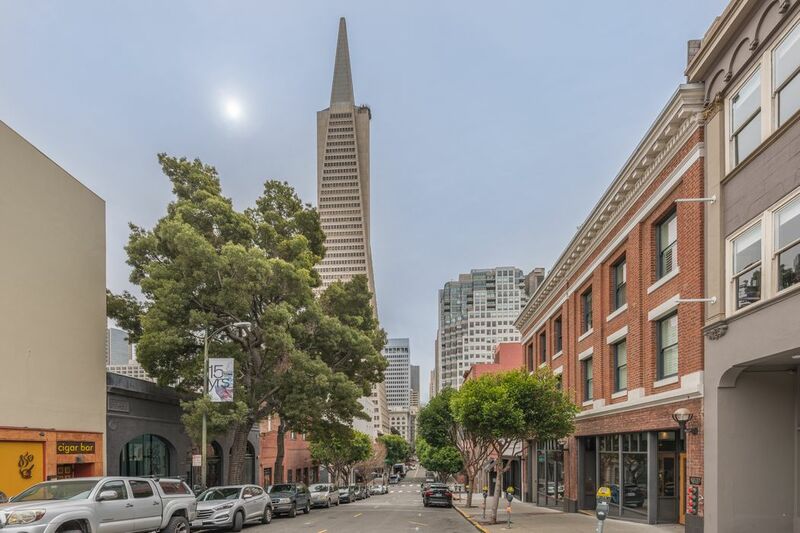 845 Montgomery St Unit D, San Francisco, CA 94133 | Sotheby's International Realty, Inc. 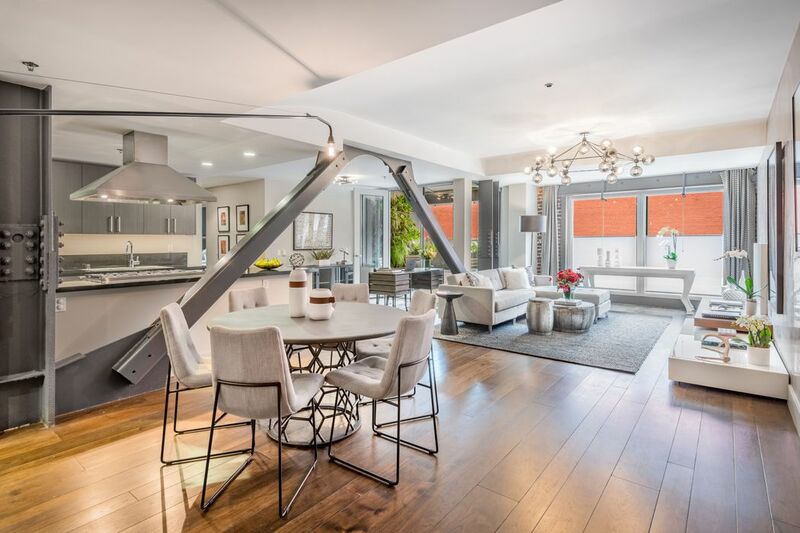 Perfectly positioned within the heart of Jackson Square, 845 Montgomery St #D is located in one of San Francisco’s most exclusive and historic neighborhoods. 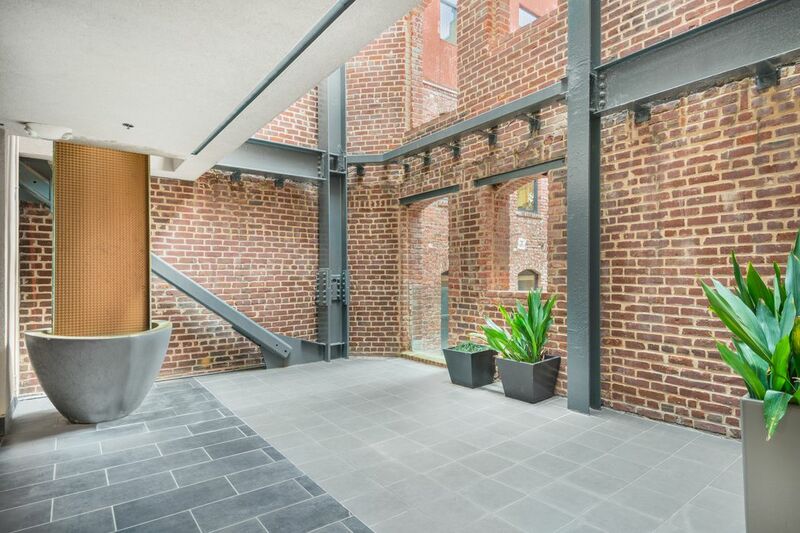 This sophisticated residence enjoys an incredible open floor plan and original brick walls, creating a spacious and curated feeling throughout the home. 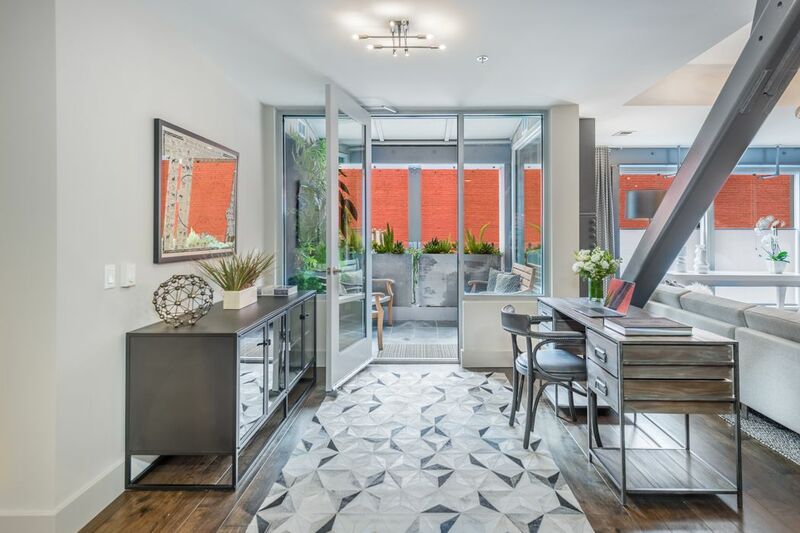 The residence is appointed with two bedrooms, two bathrooms, a private patio, and one car parking. 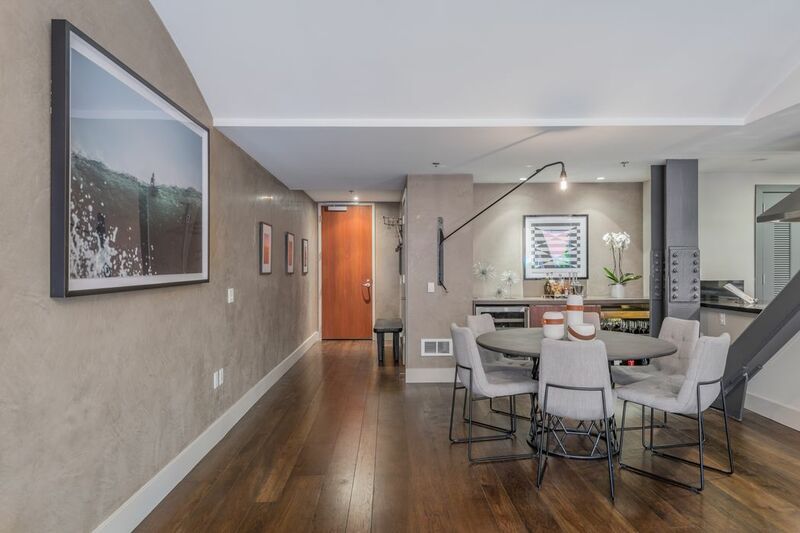 Upon entering, you are greeted by stunning wide-plank hickory floors and a gallery wall featuring Venetian plaster, the ideal space to showcase a personal art collection. 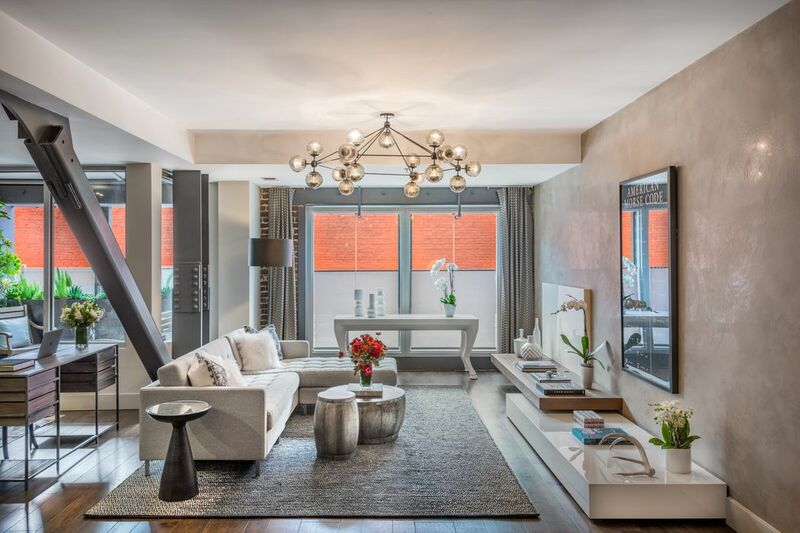 The living and dining room are both incredibly spacious, offering ample entertainment space. 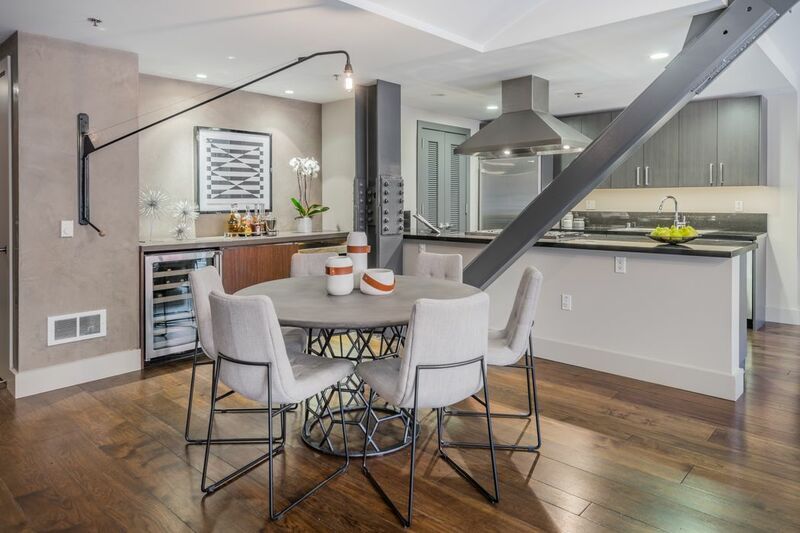 Adjacent to the dining area is a built-in bar, featuring a wine fridge, stone counters, and walnut cabinetry. 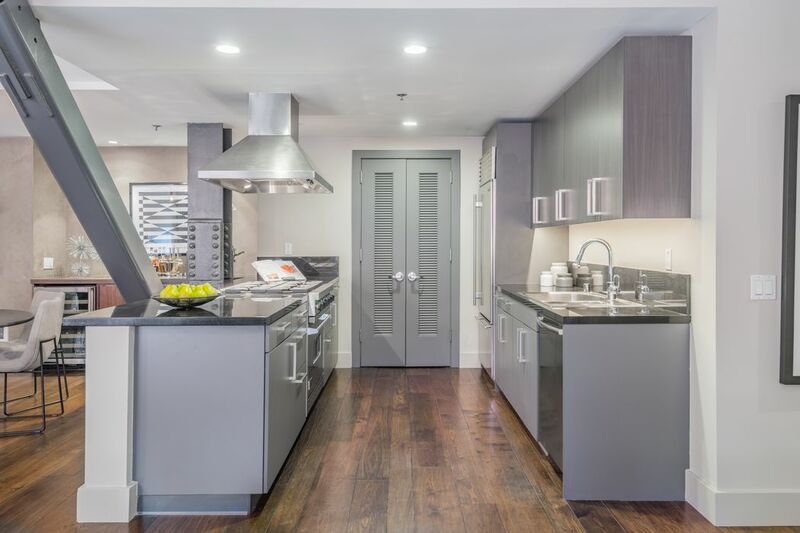 The kitchen has been designed with stainless steel appliances including a Viking gas range and black stone countertops. 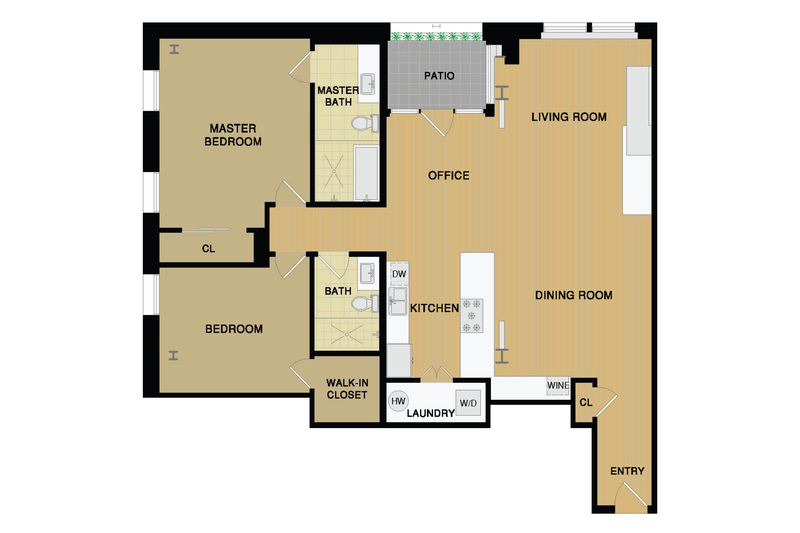 A pantry offers additional storage and an in-unit washer/dryer. 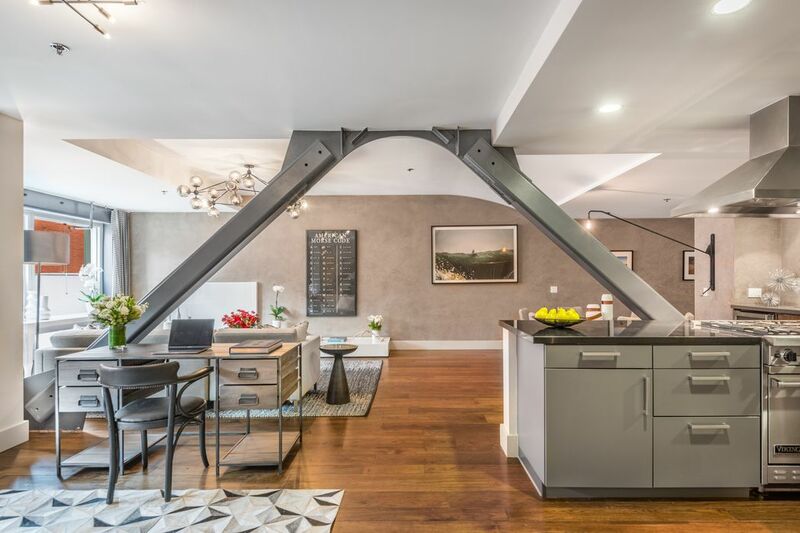 Overlooking the great room is a flexible space that can be used for a multitude of purposes, such as an office or sitting area. 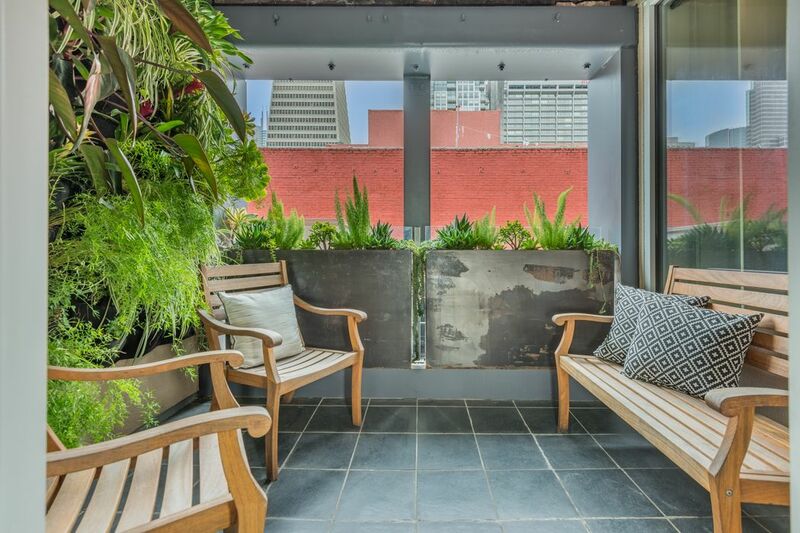 The exclusive patio, accessed off of the great room, feels like a lush private oasis. 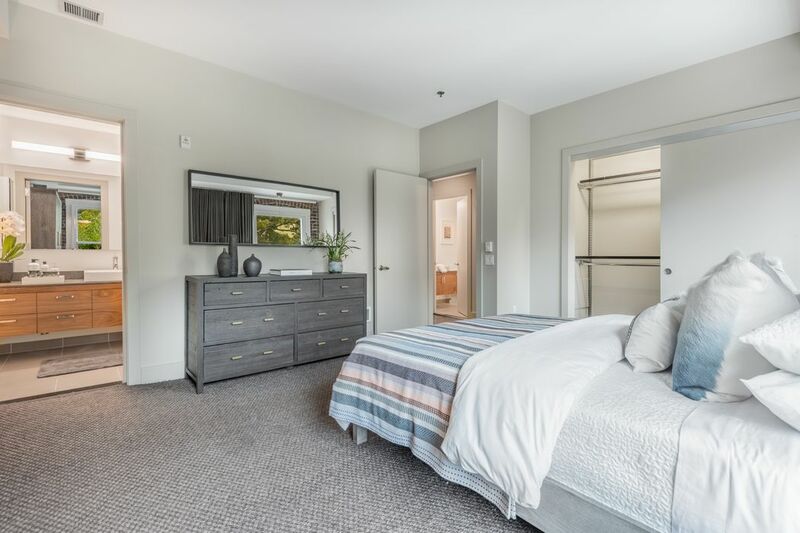 The master suite has been intelligently designed with two sets of closets and a sumptuous en-suite bathroom. 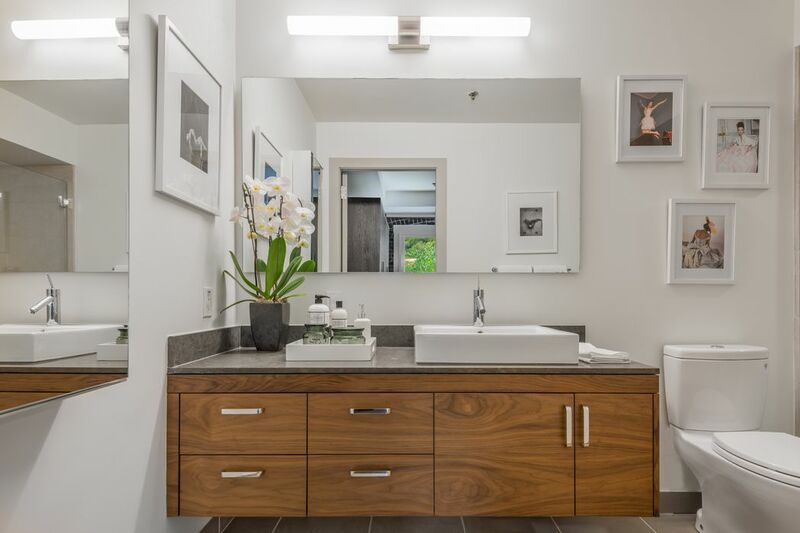 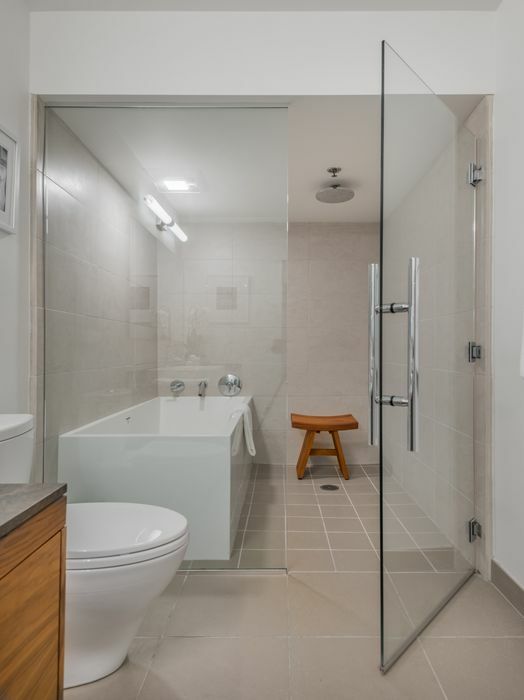 The bathroom is steeped in luxury with radiant floor heating, an oversized floating walnut vanity with stone counters and a separate soaking tub. 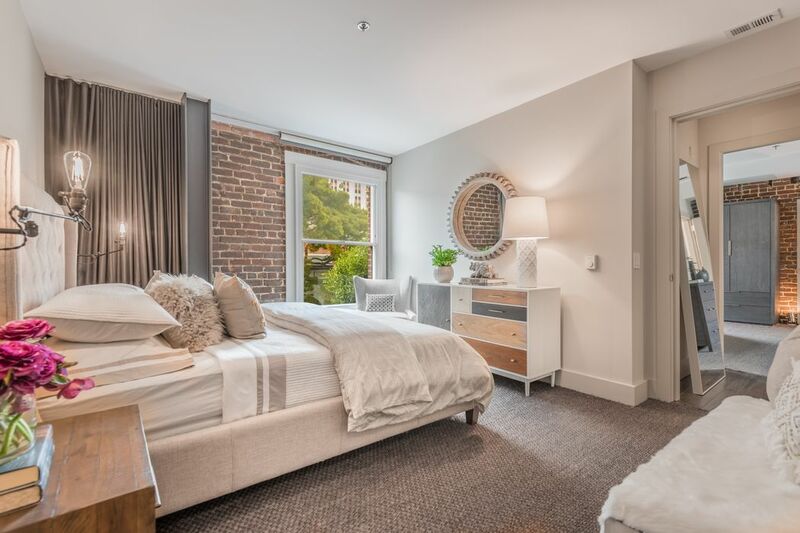 The second bedroom overlooks the tree-lined street below and enjoys a large walk-in closet. 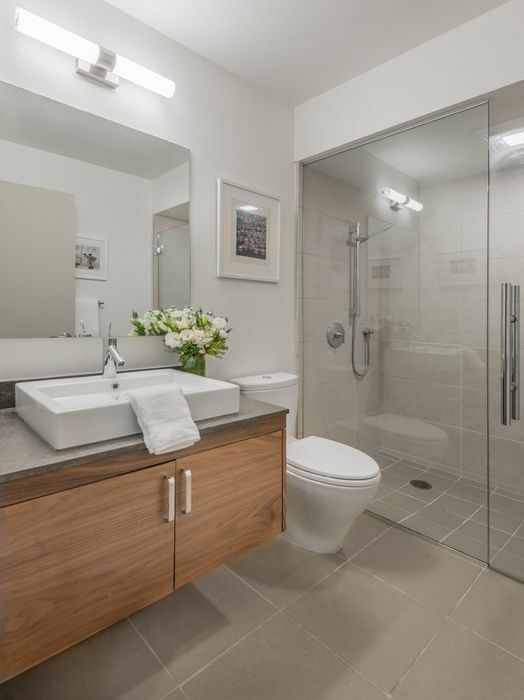 A second full bathroom, located off of the hallway, has been thoughtfully appointed with under-cabinet lighting and a walk-in shower. 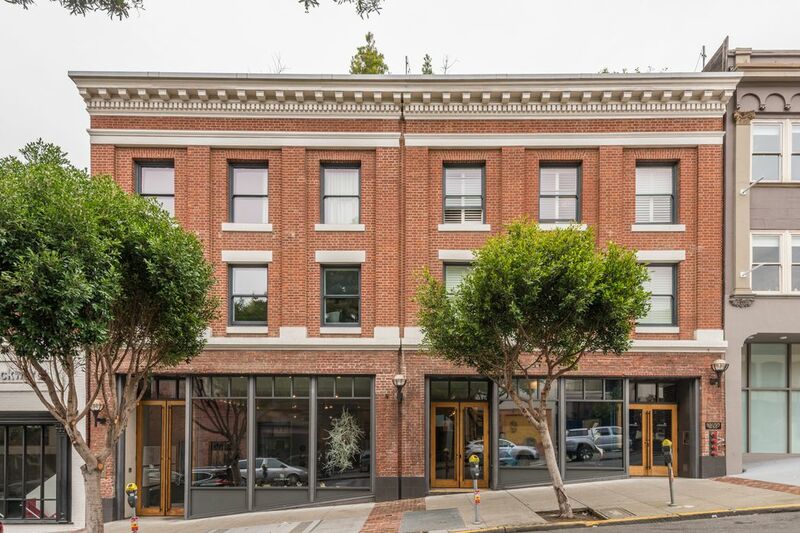 Quaint tree-lined streets, Gold-Rush era architecture, Michelin-rated restaurants, and boutique art galleries make Jackson Square one of San Francisco’s most sought-after and exclusive neighborhoods. 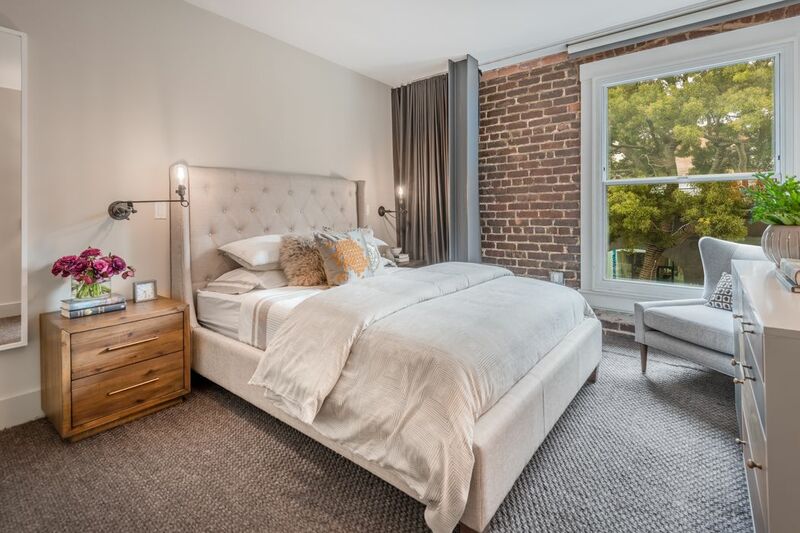 With history dating back to the 1850’s, the neighborhood has maintained an incredible sense of history and prestige. 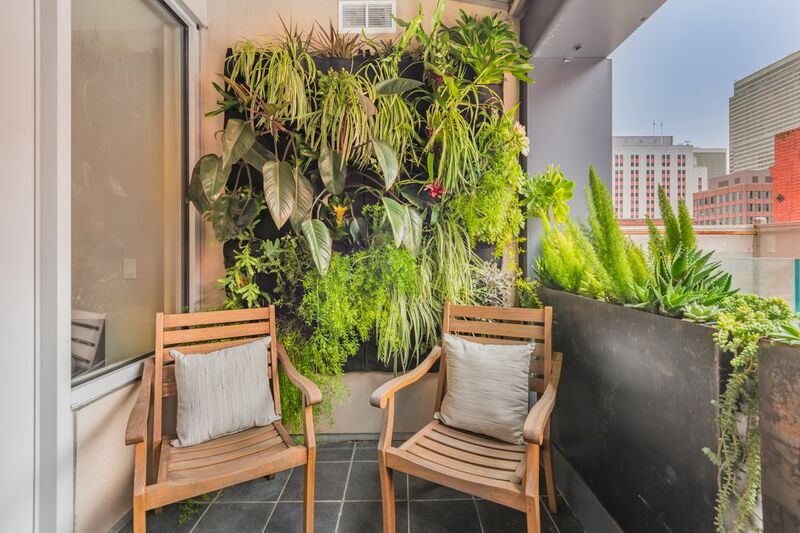 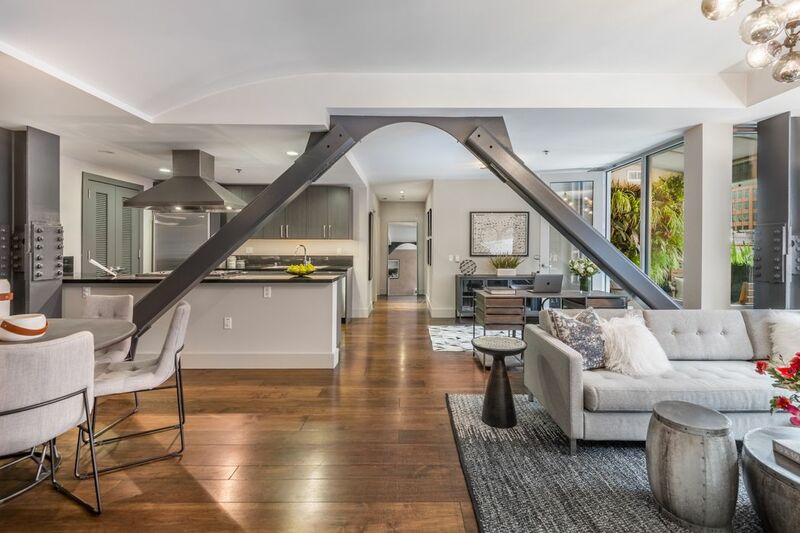 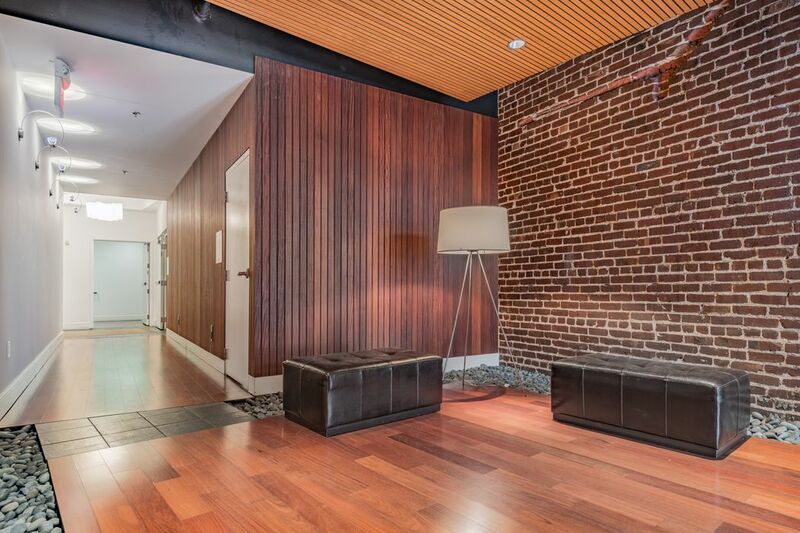 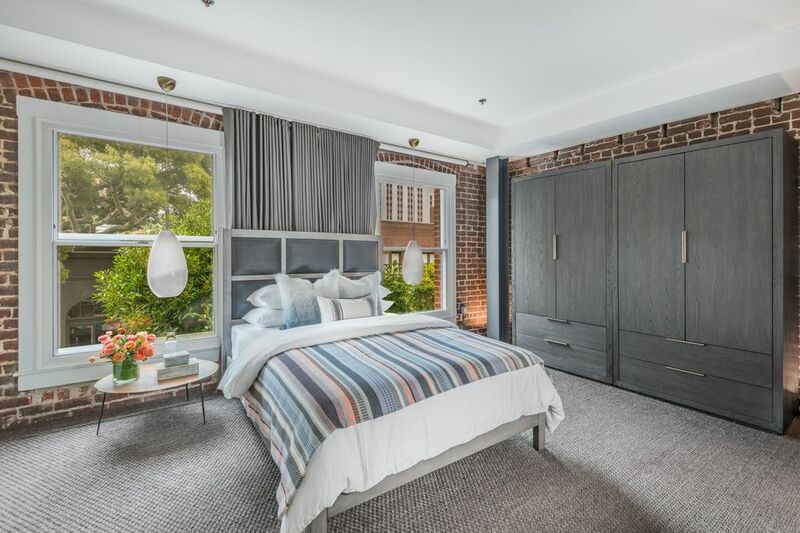 Curbed San Francisco, "Jackson Square Condo Inside Renovated Building Asks $2.1M"